And the clouds have cleared to reveal a golden sunrise! I had decided on yogurt, oats, granola, banana mixture, but I decided that would all be much more fun blended up in the Vita-mix and served soup style. I love the texture of frothed blended things. I’m spending some time with busy bee Faith this morning – we have a yoga date. And then working through mid-day and ending the day with Karen. Last night I worked on a handful of blog things – edited my theme a little (no more double tags! ), added LinkWithin widget (I’m having so much fun looking at my old posts!) and also tweaked the header. I’m not sure if it will stay that way yet, but it’s a visual multiday test. 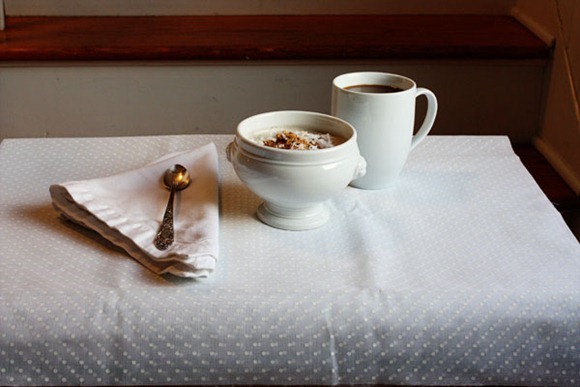 I also added a Healthy Travel section to the bottom of the travel page recapping our Montana hotel breakfasts + dinners. And also created a Home Neat Home page! 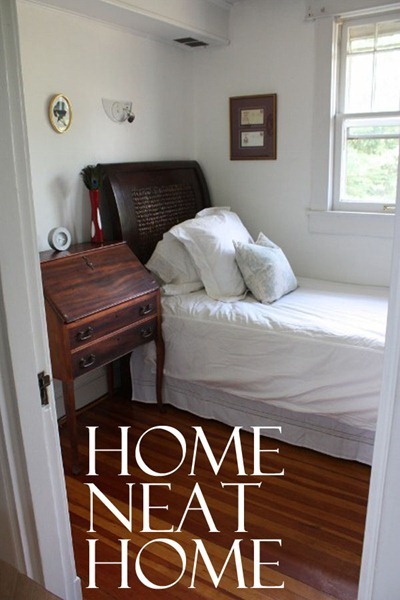 Stay tuned for Home Neat Home: Bath + Linens! I like that you took out the blue-ish writing on the bottom of your header (I think that’s what you did?). It looks good! Gah the coconut in all these posts makes me want to open my bag ASAP! wow you have gotten a lot done! I like your two new pages. Healthy travel is soo hard! I love the Home Neat Home theme you have going on! It’s so helpful 🙂 Hope you have a good yoga date! and tell that snow to stay away from NC! We’ve had all we can handle! I really do love your header. You’re right, I very much enjoy the vibrant colors when I come to KERF! That dusting of snow is so lovely! Hope you have a productive day and can enjoy that beautiful scenery. I thought your header looked different! Just saw ambrosial granola at TjMaxx…think I may have to go back and get some. I like the larger font (I think that is all you did), it fills the space, which makes more sense to me. 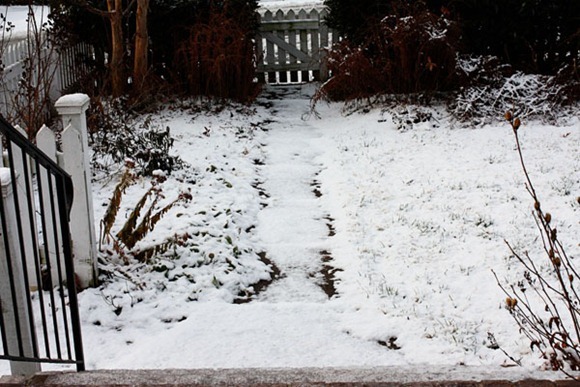 Love your snowy white pictures this morning! We are BURIED in BOston… I just shoveled and got plowed in again! NO!! I always miss these things!! ah, im sorry! I read that wrong when I first read it. 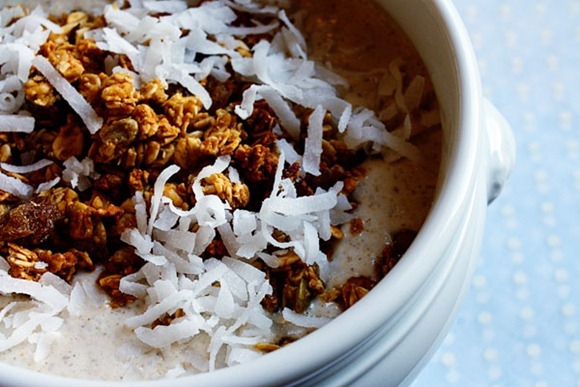 It’s just the national oatmeal month. October 29th is the actual day. Love the tweaks to the header! Have a great day! Mmmmm your breakfast looks so tasty. I want a vita-mix so so so so so bad. It’s a tease that my school owns a billion and I can’t just borrow one…forever. It sounds like you’ve been busy busy busy! We’re expecting another sunny mid-60s day here on the west coast. I’d actually like to see a little snow this winter, but would have to travel a couple hours to get to it. What a beautiful morning! Love that you blended your yogurt. Great idea! Love the new header! And I also want to say that I l-o-v-e the picture you have on your Home Neat Home link up there – with the crisp white bed and little secretary dresser. Looks like something out of Country Living! I’m redoing my guest room and your picture is going to go in my inspiration folder. Is that black coffee? Though I never begrudge people their preferences, I am a bit militant when it comes to that. Lol, okay. I think I can forgive a splash. I love your Home Neat Home series, so I am eager to see the next post. So you were supposed to get 1-10″ of snow and you got 1– that is the best case scenario I think! That looks like my back yard! Eventhough places like wintergreen got hammered! 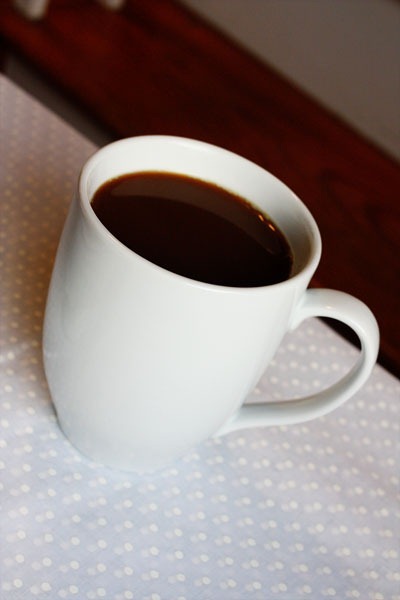 Question… have you been to the shanendoah joe roastery? If so, did you like it? You guys are very correct with the header changes 🙂 No teal, bigger, centered, stacked font. So much snow here! Your breakfast sounds delicious – I wish lil blender could handle blending things like this. Love the white dishes for the snow! Sets you in the right mood for the day! Have a great day Kath! Only 1 inch? We got about 6. You’re welcome to come and take it from us; I think we’re all snowed out. Love the Home Neat Home! You can have some of our snow! New Hampshire is covered in around 4 FEET! You’re such an inspiration with how much you can get done in a day! Looks like the perfect dusting of snow! And I love the dusting of coconut to go with it! I love the updates! The Home Neat Home feature is so cute. I’ve always loved your style! Here’s a little saying I learned from some of my friends from the Canadian maritime provinces (that get a LOT of snow) and it seems to hold true: “Big snow, little snow; little snow, BIG snow.” So, if there are big flakes, there will be little snow that sticks around but if the snow falling looks “little” there will be a lot of snow. That took me a while to comprehend, but it makes sense! Your breakfast looks so yummy! We have SO much snow outside right now. I am not looking forward to shoveling but my car is buried. So it needs to get done. Glad to know that you guys didn’t get too much snow! At the rate you’re going, you’re going to be something similar to the next pioneer woman, as diversified as your posts are becoming. A snowy white morning. Good thing it was just a little snow. I’m working on making my home “neater.” It’s a process though!! Love love love the header. Maybe since “bread” will be such a big(ger) part of your life soon a little slice or hunk of bread could be added to it? 🙂 Perhaps that would be too literal. Look forward each day to reading about your adventures! Easier said than done, but I agree! 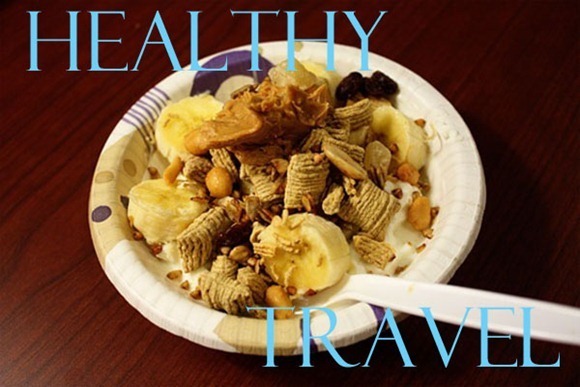 LOVE the healthy travel page. It’s perfect! Kath, the new font looks regal and I like it. Maybe just about 1/6 smaller to allow for ‘white space’ even though it is wood grain. Kiran’s header looked very nice too–sorry to say I liked her version over the two you proposed. It was thoughtful of her to take the time to tweek it for you. Let’s face it, you could do your blog with a plain simple font typed KERF or no header at all…people will still read. I think it just makes people feel good to try to be helpful. You have a wonderful blog and are very much appreciated for your daily inspiration. The linkwithin links are showing up on my end. We got about 6-8 inches here! Really!? I disabled the plugin!? Nice tweaking on the header! The blue text was kind of hard for my eyes to read, much better now. The healthy travel page is great! We had to pack all of our own food for our last trip since one of the passengers has Celiac disease… and out in the middle of nowhere there is not much you can eat. Gotta love blog fixing moods 🙂 It looks really nice! I love coming to KathEats and finding out about new tools for blogging. I don’t know how you keep up on things so well. I’ve got to check out that linkedin. I LOVE the new header! I say keep it! 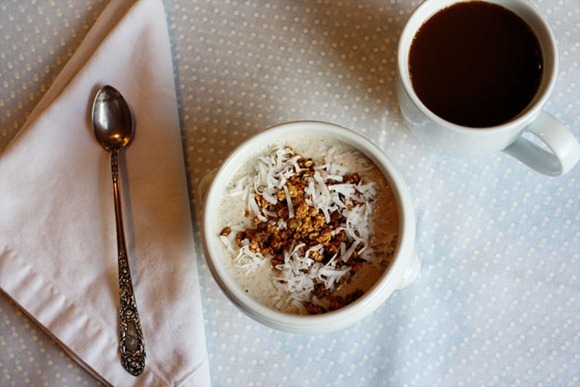 the blog looks just as neat and delicious as that oatmeal! 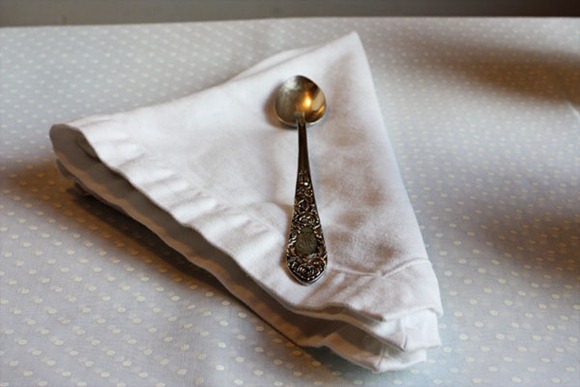 i’m looking forward to your linens post – i need new ones! The snow skipped over us 🙁 Boo… Loving the organizing posts! I collect so many hotel products too – I suggest donating them to the local homeless shelter a couple of times a year. They are always so appreciative! Kath, We didn’t get so lucky with the snow. We got about 14 inches! Ridiculous I tell you! Just wanted to tell you that I LOVE the new header. I think the black pops well against the back round! Love your breakfast! And the tweaked header looks great 🙂 very eye catching. LOVE the home neat home – getting some great ideas! All of your yoga practice has inspired me to try it again. I currently just started marathon training, and am desperately needing some way to cross train and get a good stretch in. Here’s hoping that it helps me find a peace of mind! New header looks great, in fact, i didn’t even notice it upon entering your blog. 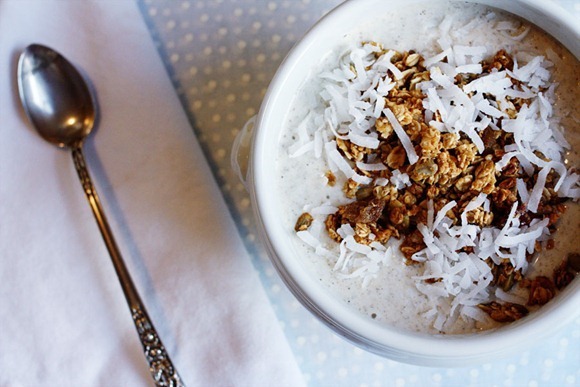 You breakfast looks amazing with all that coconut. I am getting tons of ideas about how to organize my place – I especially loved the tip about how you fold the sheet sets – mine are all messy and always falling out of the closet. 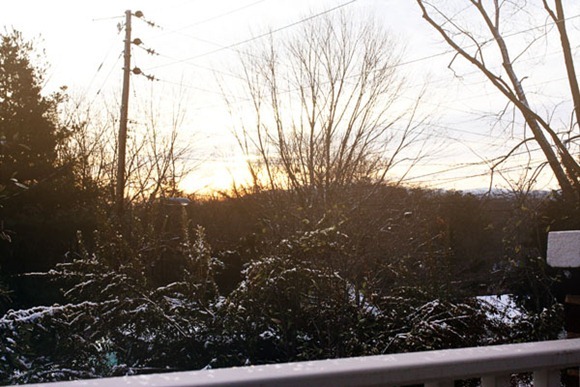 Lovely pictures of the snow – I makes me miss the east coast. Yum! I love the whole pure white scheme you’ve got going on! Can’t wait to see the new pages. 🙂 and love the breakfast bowl, too! You make such good eye candy with your great eye for graphic design and photography. I’d enjoy your site even if you weren’t such a good writer! While you’re tweaking, is there any way you can add a widget so we’re notified if you or a reader responds to our post? I’ve been looking into a plugin that can do this – will keep looking! Thanks…should have mentioned I like your replies in GREEN! Very helpful. I like the way the text almost looks carved out of the cutting board! Nice work! Hi Kath! I am loving this new feature of yours, great way to showcase your home and provide helpful organizational tips! I have been looking for a wire basket with handle just like the one you have on your tiered glass shelf. Do you remember where you bought it? Thanks! Yum! 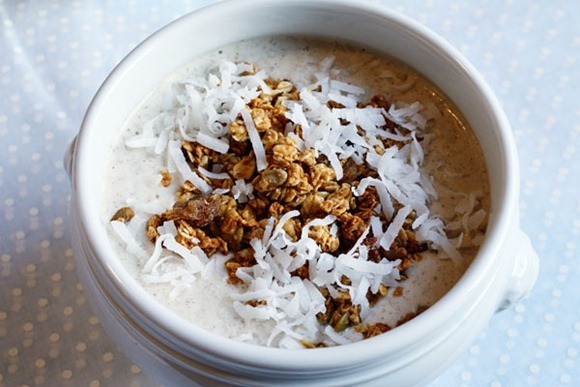 This breakfast looks divine! Kath I love your organization! I am the same way…clutter free to the visible eye, keep the less visually appealing stuff stashed. But even then, my drawers and cabinets have order. And i am not afraid to toss that huge bottle of conditioner from 2 yrs ago with 2 uses left in it and de clutter bottles, samples, old products, etc that just are never gonna get used again. Which those things can take over your bathroom storage…in a hurry! Is the new header font the same font you’ve been using lately on your categorized posts and Home Neat Home series? It looks similar – I like the cohesion. Oh, okay. I really love that font that you’ve been using. So crisp! If you’re still tweaking your header, you should pop that into it and see what you think! once I blended oatmeal and spiced it up and used it as a dip. Everyone thought I was weird but I thought it was good! This is a pretty random question, but when you said you added a “Healthy Travel Section” this question immediately popped into my head. How do you travel with food that you bring yourself. I know I have seen on your blog and a few others where you bring a snack that is not individually wrapped and comes from your home. How do you make it through security in an airport without them questioning you? The next time I will be flying is in March and I’d really like to know how to bring my own snacks and what not that are not pre-wrapped. As long as it’s not a liquid, I’ve never had a problem bringing food with me. I bring food with me all the time – just not liquids. Things that hold up are better, which is to say not bananas! I also take my empty refillable water bottle, empty og course. I’m so sorry because you probably get this question all the time, but can you tell me where you got your silverware (especially the spoons you’re always photographing with your breakfasts)? I’m absolutely in love with it! They are all inherited from my grandmother! You’re breakfast looks amazing as usual! Love the coconut snow 🙂 I adore the frothiness of my Vita-Mix goodies too!